Believe the Hype! It’s almost here! Overwatch may or may not be a good game (this particular editor loved the Open Beta) but it’s undeniable that Overwatch character’s designs have turned some heads. 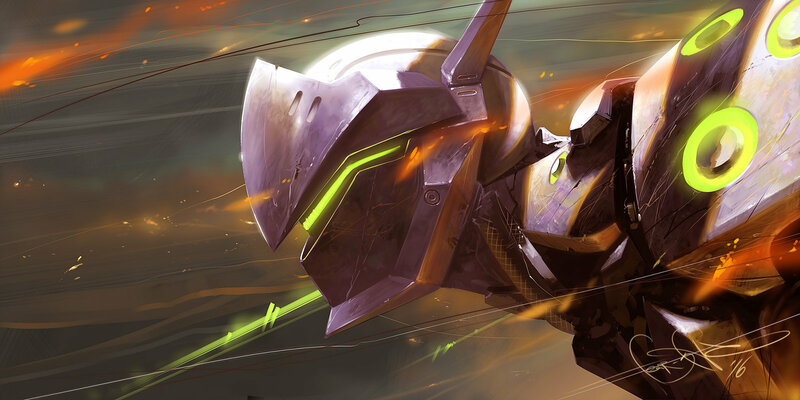 Once you’re done viewing the above short films, check out our brand new fan art gallery from a worldwide roster of incredible artists who tried their hand at capturing the Overwatch cast of characters. We’ve included the names of each artist so find them, give them their props, and then play Overwatch – released Tuesday, May 24! The dreams of a young lady. The fanart of the dreams of a young lady. Everytime you headshot someone a faerie gets it’s wings. Hurt me more, Snak- I mean Hanzo. Ronnie should do more fanart. For real maybe tweak the ult a little? Er nevermind. Bring the bass down! Ae muleque, temos um personagem brasileiro! No one escape my sights! I’ll punch you in ya gabber I swear be my mum. Check the video when you can! I’m not a monkey! I’m a scientist!